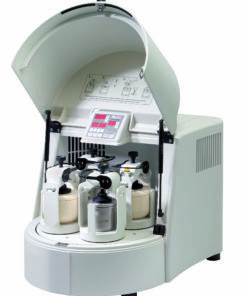 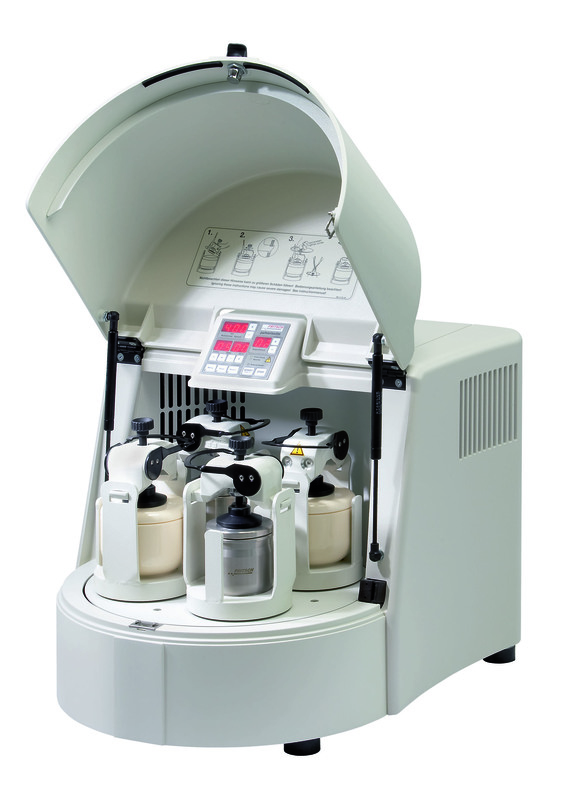 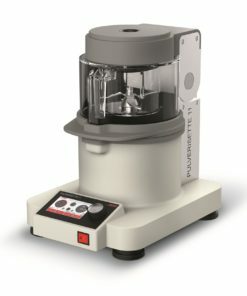 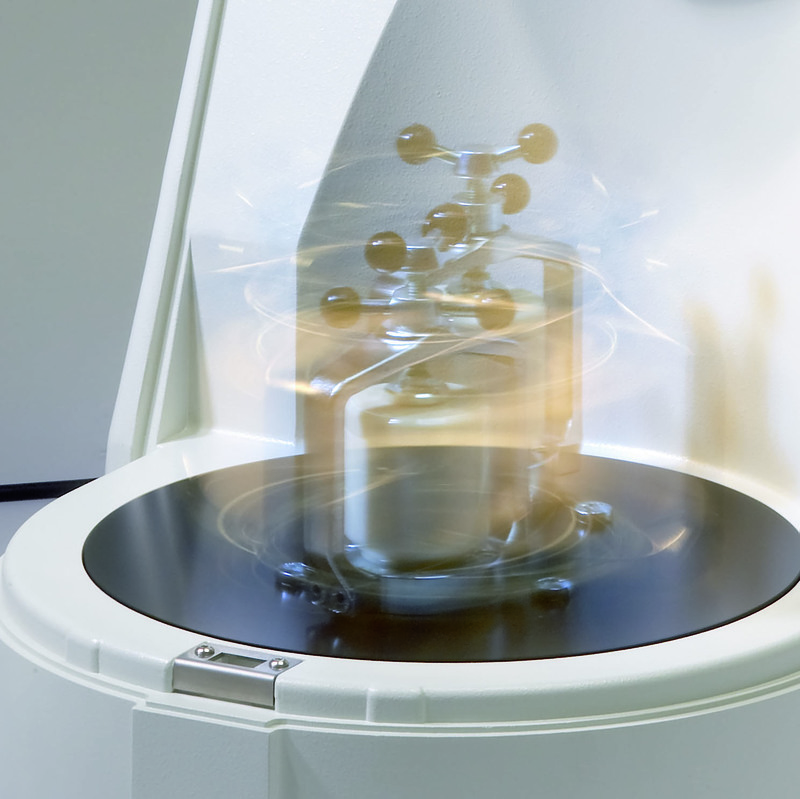 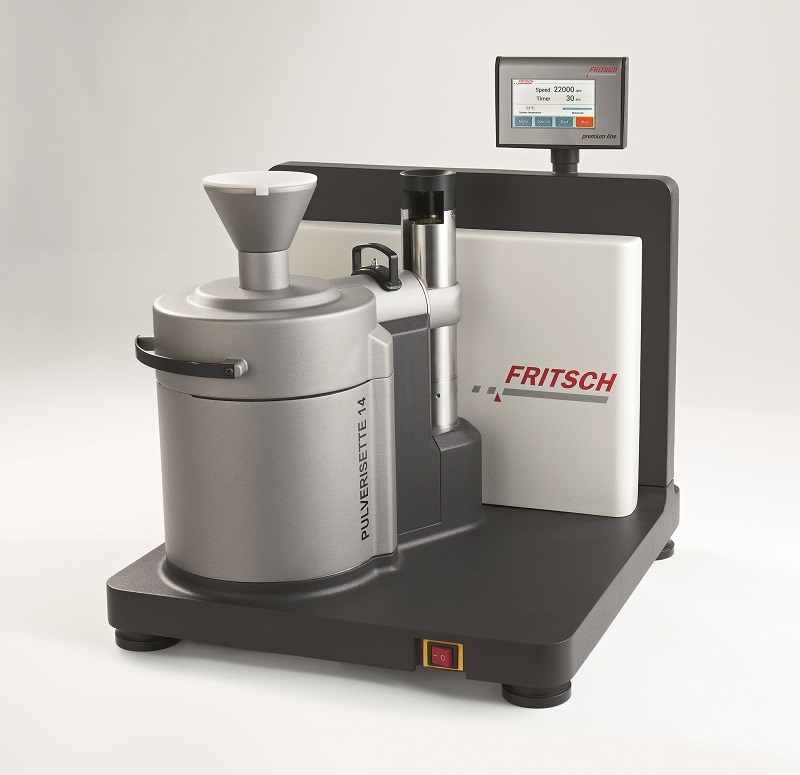 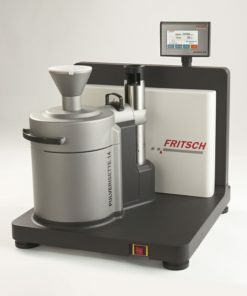 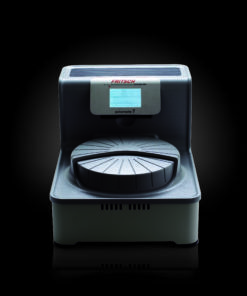 The Pulverisette 7 is recommended for very fine grinding down to colloidal fineness of dry laboratory samples or solids in suspension. 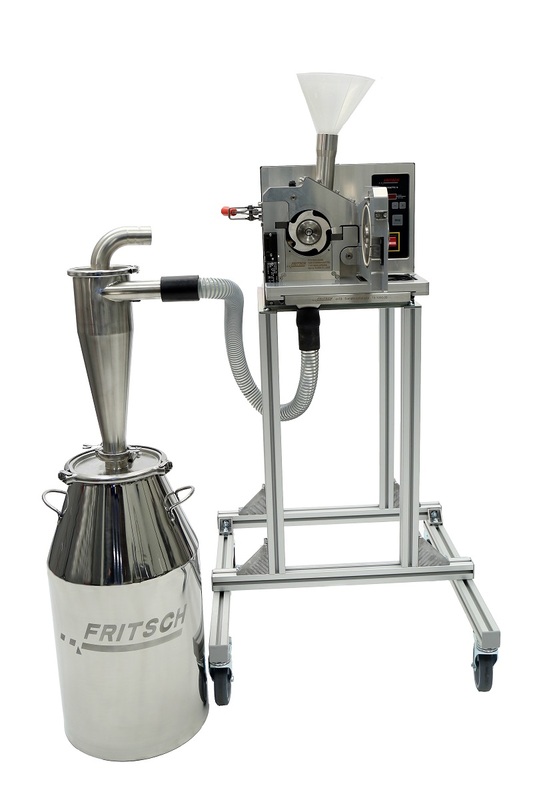 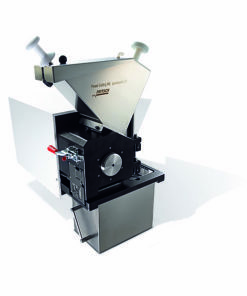 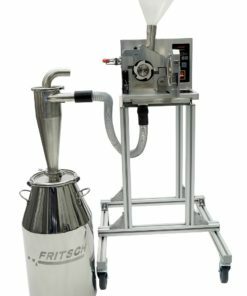 In addition, it can be used for mixing and the perfect homogenisation of emulsions and pastes. 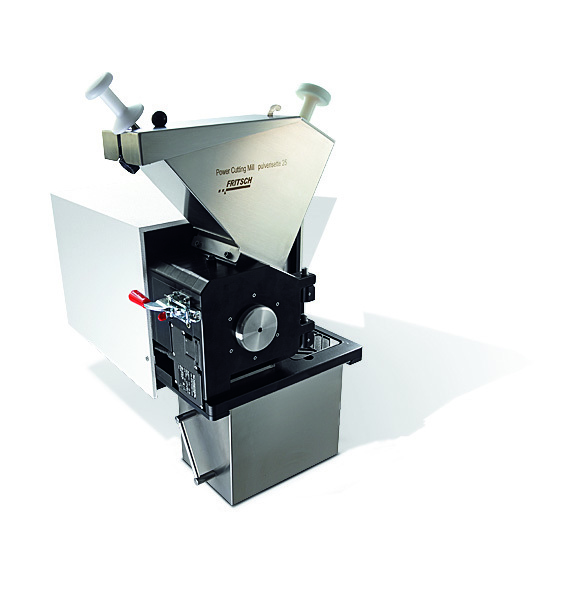 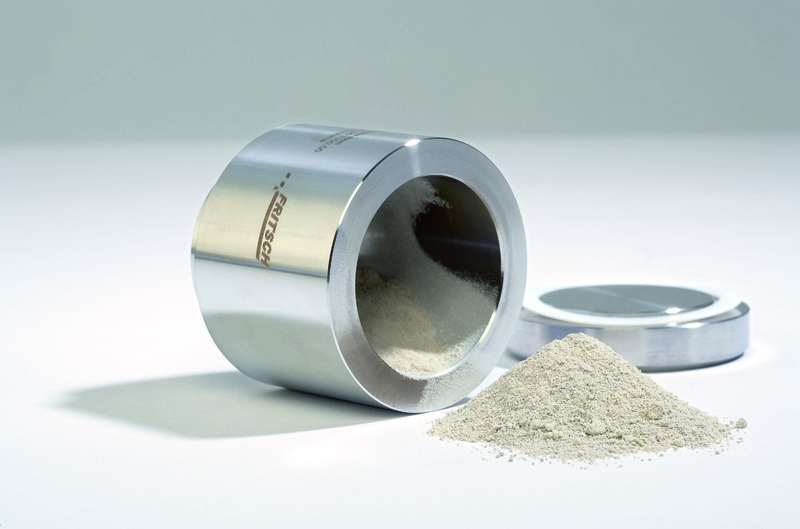 Feed particle size < 5 mm; feed quantity up to 2 x 20 ml; capable of fineness down to 1μm. 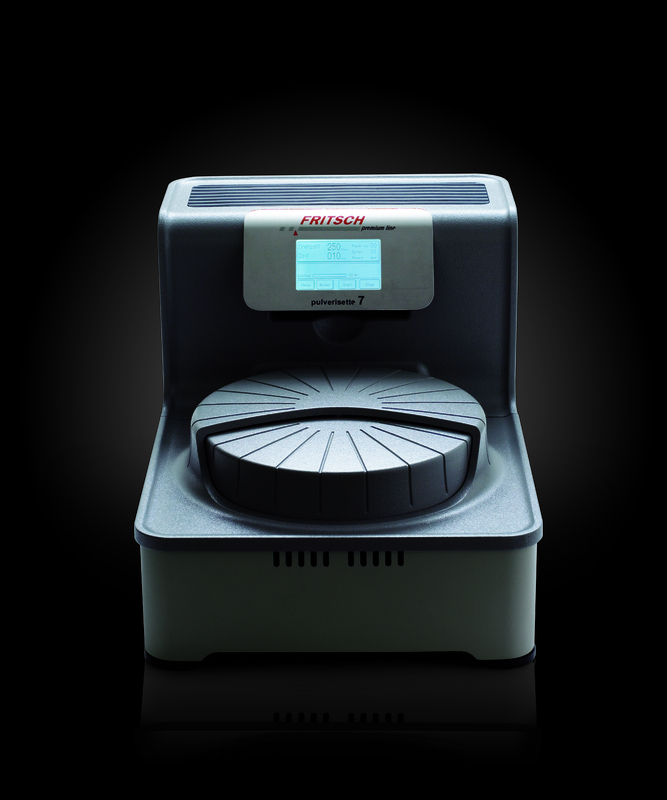 The mill is programmable via a membrane keyboard, grinding cycles can include up to 99 pauses and repetitions. The rotational speed of the main disc can be set up to 800 rpm. 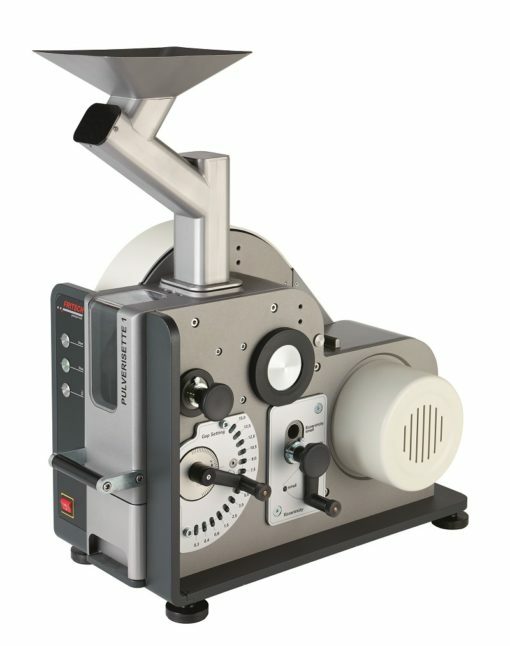 A RS-232 interface allows the output of process data and programming of grinding cycles for validation. 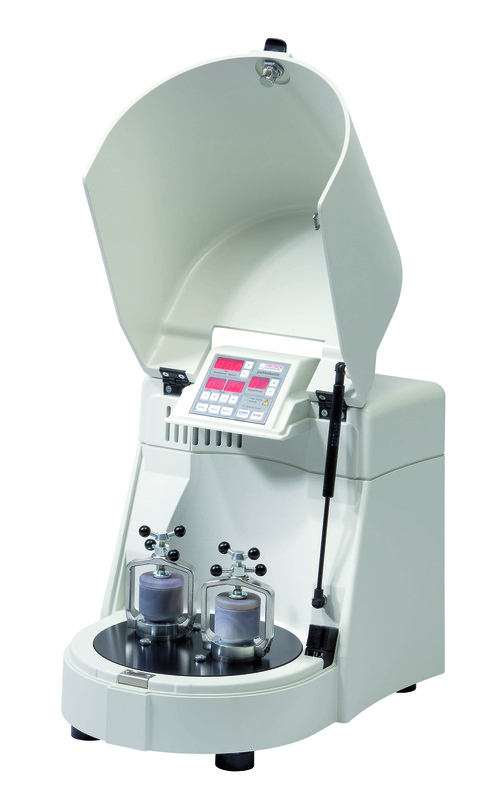 Application: chemistry, biology, pharmacology and pharmaceutical research, medicine, nuclear research, spectroscopy, x-ray fluorescence. 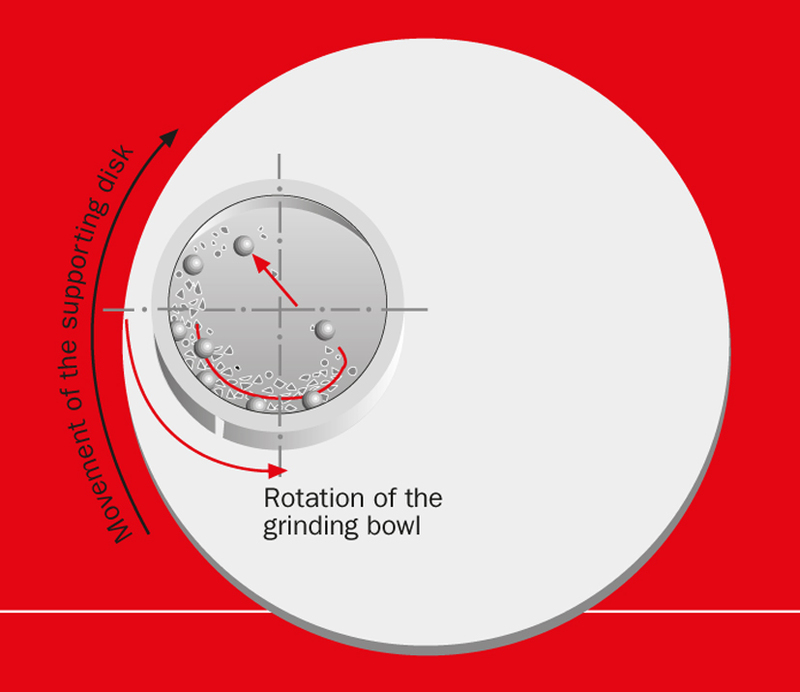 Samples are pulverized by high-energy impacts from grinding balls and friction between balls and the grinding bowl wall. 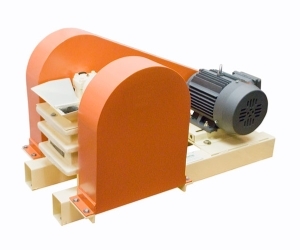 The energy thus created by impact is many times higher than for traditional ball mills. 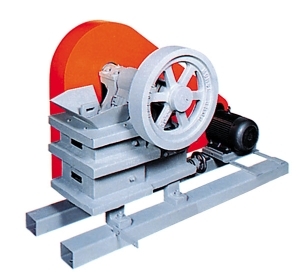 This results in excellent grinding performance and considerably shorter grinding times.